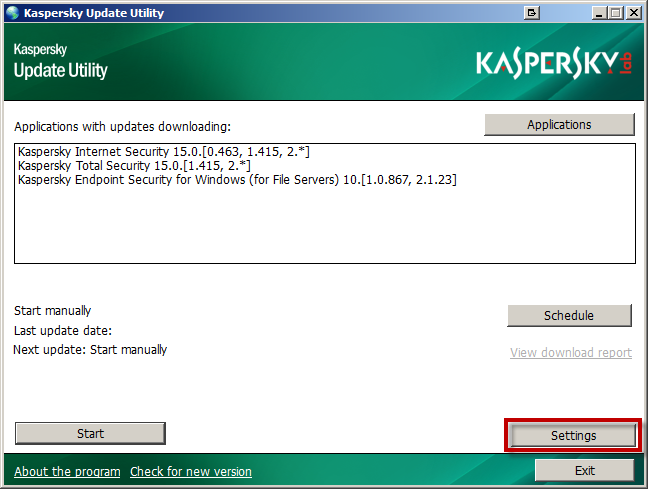 Kaspersky Update Utility 3.0 has a feature of creating detailed reports (trace files). Trace files are required for detecting technical problems with the utility and for troubleshooting. In the main application window, click Settings. 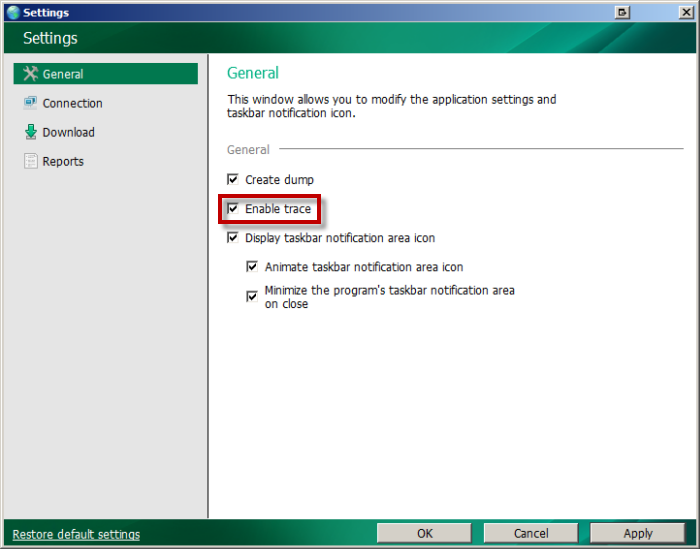 In the Settings window, go to the General tab and select the check box Enable trace. 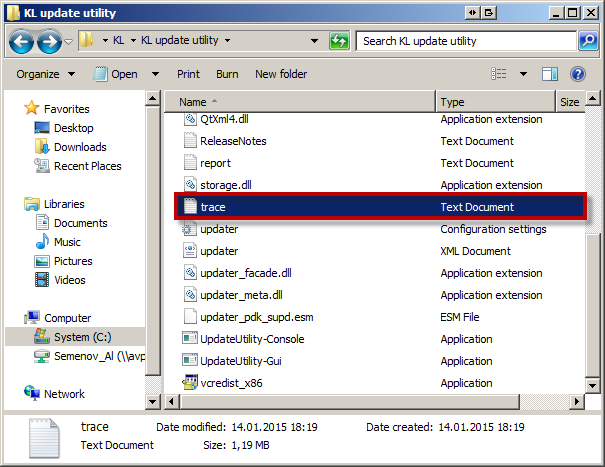 The trace file trace.log will be created in the folder where the utility is located. Next, reproduce the problem. In the command line, run the file UpdateUtility-Console.exe with the option -t.
The trace file trace.log will be created in the current user's root folder. Run the utility and reproduce the problem. After you have reproduced the problem, send the trace.log file to Kaspersky Lab Technical Support via My Kaspersky . Please provide a detailed description of the issue.